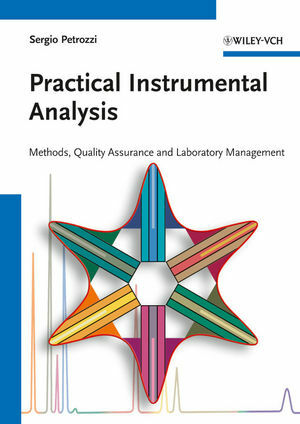 This practical book in instrumental analytics conveys an overview of important methods of analysis and enables the reader to realistically learn the (principally technology-independent) working techniques the analytical chemist uses to develop methods and conduct validation. What is to be conveyed to the student is the fact that analysts in their capacity as problem-solvers perform services for certain groups of customers, i.e., the solution to the problem should in any case be processed in such a way as to be "fit for purpose". The book presents sixteen experiments in analytical chemistry laboratory courses. They consist of the classical curriculum used at universities and universities of applied sciences with chromatographic procedures, atom spectrometric methods, sensors and special methods (e.g. field flow fractionation, flow injection analysis and N-determination according to Kjeldahl). The carefully chosen combination of theoretical description of the methods of analysis and the detailed instructions given are what characterizes this book. The instructions to the experiments are so detailed that the measurements can, for the most part, be taken without the help of additional literature. The book is complemented with tips for effective literature and database research on the topics of organization and the practical workflow of experiments in analytical laboratory, on the topic of the use of laboratory logs as well as on writing technical reports and grading them (Evaluation Guidelines for Laboratory Experiments). A small introduction to Quality Management, a brief glance at the history of analytical chemistry as well as a detailed appendix on the topic of safety in analytical laboratories and a short introduction to the new system of grading and marking chemicals using the "Globally Harmonized System of Classification and Labelling of Chemicals (GHS)", round off this book. This book is therefore an indispensable workbook for students, internship assistants and lecturers (in the area of chemistry, biotechnology, food technology and environmental technology) in the basic training program of analytics at universities and universities of applied sciences. After his apprenticeship, Sergio Petrozzi worked as a chemical lab technician at the Laboratory of Physical Chemistry ETHZ (Swiss Federal Institute of Technology) and at the Swiss Federal Institute of Aquatic Sciences and Technology (EAWAG), Switzerland. After acquiring his federal diploma (Diplom Höhere Fachprüfung), he joined the Institute of Chemical Engineering ETHZ where he gained great experience as teaching assistant in laboratory courses. His daily routine focused among other topics, on the following topics at the ETHZ in Zurich: Development, optimization and validation of analytical methods. He subsequently worked as an application chemist at Büchi Labortechnik AG, Flawil (Switzerland) with a focus on the validation of applications for environmental determinations. He has authored numerous publications in international journals and is presently employed as a Scientific Associate at the Zurich University of Applied Sciences ZHAW, Wädenswil (Switzerland), where, among other things, he is teaching adviser in analytical chemistry laboratory at the Institute for Chemistry and Biological Chemistry (ICBC).